In need of a roofing repair professional? We are here to help. Don’t let your minor repairs turn into major issues! 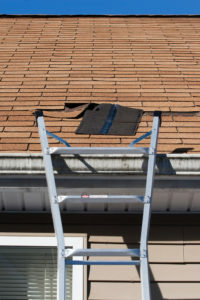 A leaking roof, rotten wood that needs replacing, or hail damage can be some of the most common reasons we get called; however, we can repair any kind of roof for whatever reason. No matter how big or small the repair – we can help! We know that the roof of your home or building is a crucial investment. Quickly making the needed repairs could make the difference between needing only minor repairs and needing a completely new roof. If you are experiencing issues or know you a professionals help, don’t hesitate – call us today! Not exactly sure what the source of your problem is? No problem. We have seen it all! Our trained and qualified roofing contractors can troubleshoot your problem as easily as they can fix it. We are proud to say that we have served the Washington DC area for over 20 years. We believe the most effective way to treat any repair job is to involve the customer as early as possible. Once we know and can identify the source of your problem, we will let you know your options on how to fix it before we begin working. This way there are no surprises to you or your final bill. Our goal is happy customers every time.